If you had experience and somehow had trouble with the rapidly draining battery of your Samsung Galaxy S2 (SII) by AT&T. In most recent reports that the new AT&T Samsung Galaxy S II had a poor battery life. Others says that this is due to a poor system OS or some bugs issues that one of the main reason why your phone drains its battery so fast. 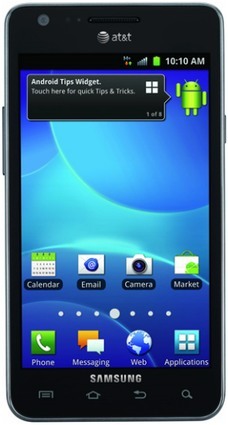 So, how to get your Samsung Galaxy S2 I777 improved the battery life performance? Here's a few tweaks we gathered so far and shared by Singuy1234 who already had his Samsung Galaxy S2 battery life problem fixed. My phone is no longer draining massive amount of battery life when idle (3-5% after 7 hours of idle), android system usage is now down to 5-15% instead of 78-97% from before. 2. Turn off wifi while on the road (so wifi doesn't constantly look for signals). Yes, att installs a lot of bloatware that constantly update for changes. If killing those services AND disabling data syncing doesn't help your problem, then you have a kernel problem (like myself). 3. Reflash with cognition x2 (reported to solve a member's problem, I didn't try this myself). You can read the whole story at XDA-developer. We'll hope that Samsung will release a new firmware update that fix for this battery draining issue a soon as possible.